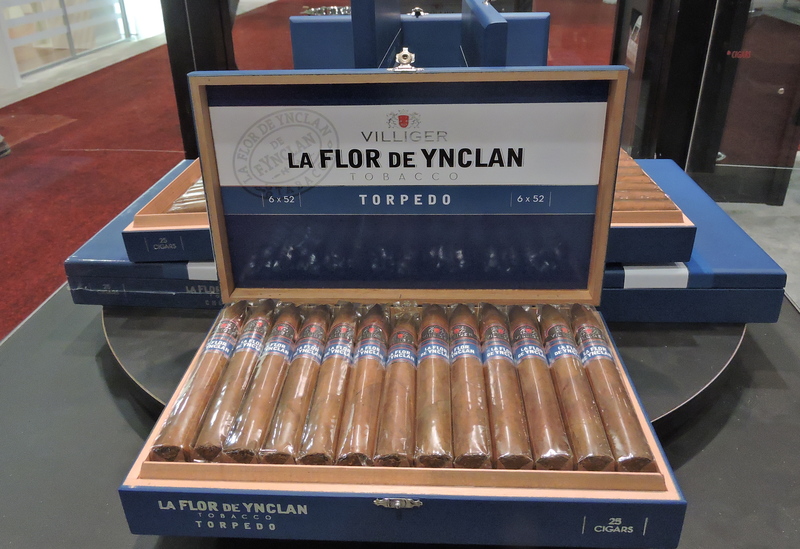 La Flor de Ynclan is a brand that has been recently resurrected by Villiger Cigars. 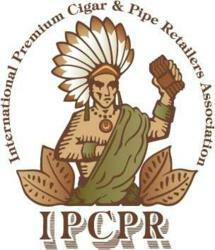 The origins of this brand trace back to Cuba. In the 1960s, Villiger acquired the trademark, but it wouldn’t be until 2007 when Villiger would release its version of La Flor de Ynclan. 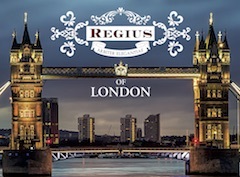 After it was released, Villiger Chairman Heinrich Villiger was not satisfied with the blend and the decision was made to remove it from the market. Fast forward to 2017, and the blend has been tweaked and has been re-introduced to the market. 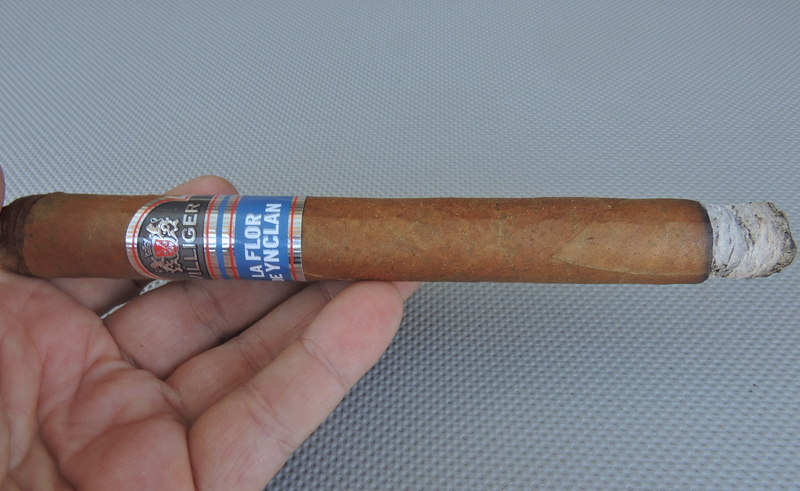 Recently I’ve had an opportunity to smoke the new La Flor de Ynclan in the Churchill size. Overall, I found this to be a sensational cigar and one that has all of the potential for Villiger to put its stamp on the U.S. market with a premium cigar. During the time La Flor de Ynclan was off the market, Heinrich Villiger worked hands-on with Master Blender José Matias Maragot at the ABAM factory in the Dominican Republic to rework the blend. 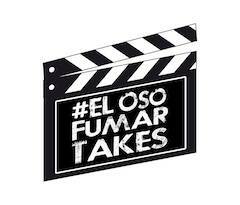 One key factor of the process was that some of the tobaccos earmarked for the blend were set aside to age an additional five to seven years. The result was the new incarnation of La Flor de Ynclan. La Flor de Ynclan consists of a four-country multi-national blend highlighted by an Ecuadorian wrapper. 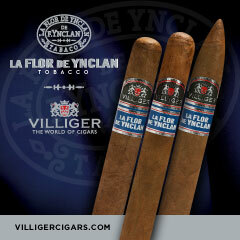 La Flor de Ynclan is valable in three sizes. Each size is available in 25 -ount boxes. 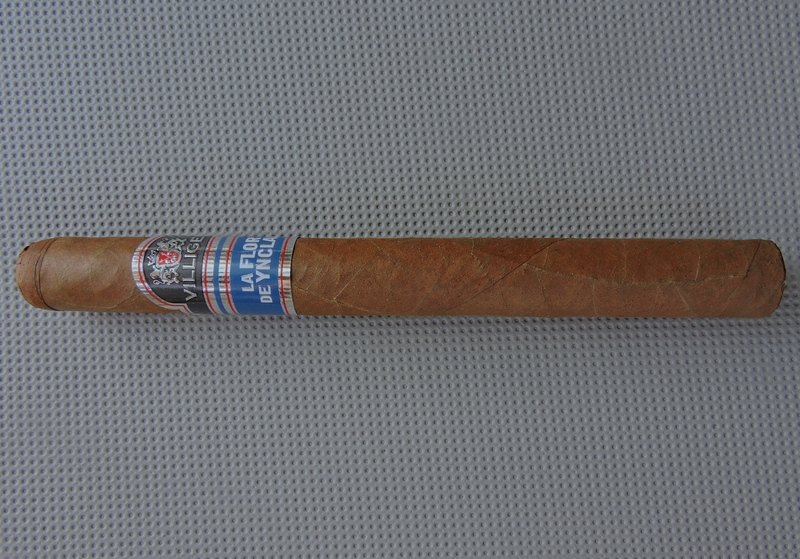 The Ecuadorian wrapper of the La Flor de Ynclan Churchill has a light to medium brown color. Depending on how the light shined on it, there was a varying degree of rosado mixed in. The surface of the wrapper had a light coating of oil on it. There were some thin visible veins and thin visible wrapper seams. Overall I considered this to be a wrapper that was on the smoother side. La Flor de Ynclan is now using a similar banding design to what being was used on the Villiger 1888 and the Villiger San’Doro series. The upper part of the band has a black background surrounded by silver and red trim. The center portion of the band has a semi-circle shape to it. Sitting on that semicircle is the Villiger coat of arms – and just below that is the text “VILLIGER” in silver font. The lower portion of the band is blue color with silver trim surrounding it. Sitting on that portion of the band is the text “LA FLOR DE YNCLAN” in white font. 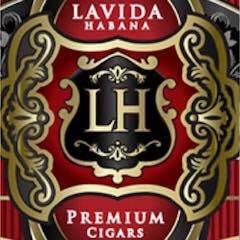 As for the box design, it incorporates elements from the old Cuban brand, the original Villiger release, as well as some additional modern elements. As I usually do, I opted to use a straight cut to remove the cap of the La Flor de Ynclan Churchill. Once the cap was removed, I commenced with the pre-light draw. The dry draw delivered a mix of wood, cherry, and cream notes. While it was somewhat a simple flavor profile on the pre-light draw, I found it to be quite enjoyable. At this point, I was ready to light up the La Flor de Ynclan Churchill and see what the smoking phase would have in store. The start of the La Flor de Ynclan Churchill delivered a mix of cream, wood, coffee bean, and cherry notes. 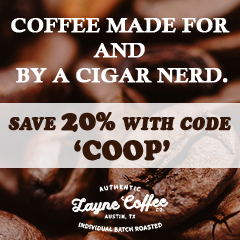 Early on the cream and coffee bean notes became the primary flavors while the wood and cherry settled in the background. Some black pepper would subsequently emerge in the background as well. Some black pepper would subsequently ermine in the background as well. Meanwhile, the retro-hale delivered a subtle layer of cedar and some additional black pepper. Throughout the first third, the cream notes remained primary. The coffee bean notes varied in intensity, but mostly remained grounded in the forefront. There were a few times the cherry sweetness surfaced in the forefront. Meanwhile, the wood and black pepper notes remained secondary. By the second third or the La Flor de Ynclan Churchill, the coffee bean notes took control as the primary flavor. During this stage, the cream diminished in the background joining the cherry and black pepper notes. The wood notes morphed into more of a classic cedar sweet-spice. These cedar notes increased in intensity and just past the midway point, they joined the coffee bean in the background. 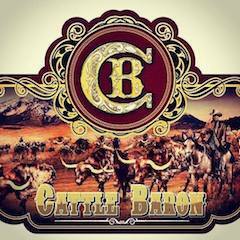 The last third of the cigar experience saw the coffee bean and cedar notes remain in control. The cream and cherry were now greatly diminished. There was an increase in black pepper, but this didn’t quite reach the forefront. This is the way the La Flor de Ynclan Churchill remained until the end. The cigar finished up with a nub that was cool in temperature, but somewhat on the softer side. The La Flor de Ynclan Churchill was a well-constructed cigar and this reflected nicely on the burn and draw. 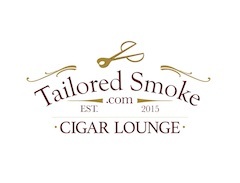 This is a cigar that for the most part maintained a straight burn path and had a sharp burn line. The resulting ash was skewed toward the firmer side. It was mostly white in color. The burn rate and burn temperature were both ideal. The draw to the La Flor de Ynclan Churchill was in a sweet-spot. It was not too loose, nor was it too tight. For a 7-inch cigar, I found this to be a low maintenance cigar to puff on an derive flavor from. Overall this was a cigar that started out on the lower end of medium for both the strength and body. 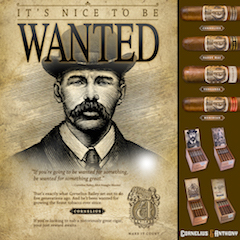 There was a slight increase in intensity with both attributes, but in the end, this cigar stayed in the medium range. In terms of strength and body, I found that the strength and body balanced each other nicely with neither attribute overshadowing the other. It’s been a long time since I smoked the original La Flor de Ynclan from Villiger, but I can tell you smoking the new 2017 blend, I was quite impressed. 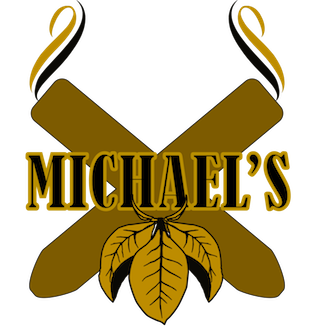 The flavors of this new incarnation mesh quite well and they seemed to fit this cigar’s medium strength, medium-bodied profile nicely. I also found all three sizes to perform quite well, however, the Churchill size seemed to really shine with this blend. 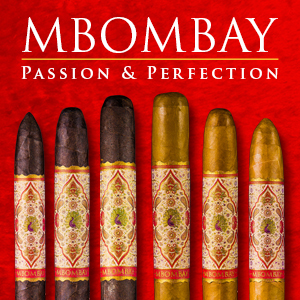 This is a cigar that can be enjoyed any time of the day by either the novice or experienced cigar enthusiast. 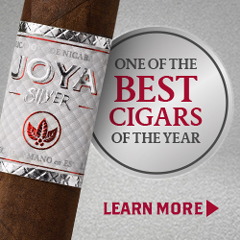 As for myself, this is a cigar I would easily smoke again – and it’s worthy of a box split.